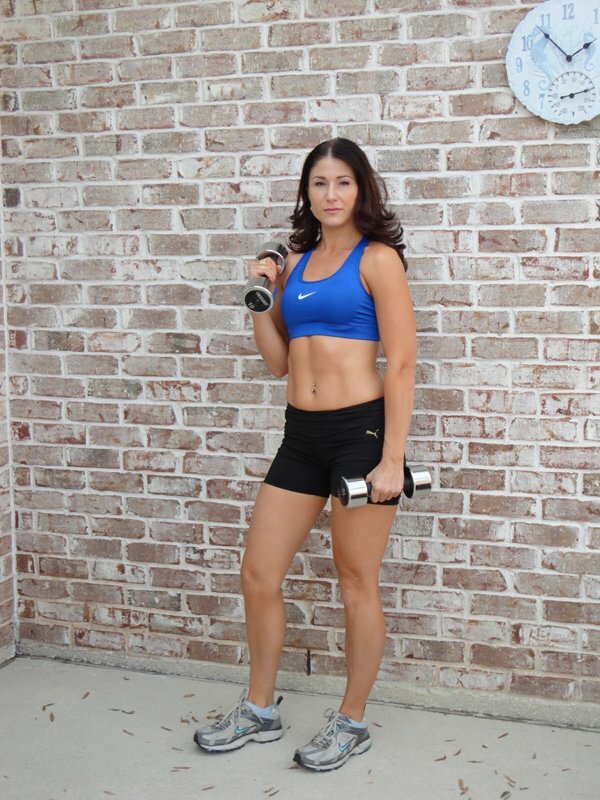 Elena Didn’t Let Kids And Travel Keep Her From Fantastic Fat Loss! Elena began dieting to get her pre-pregnancy body back. Not only did she come back better than ever, she took first in a transformation contest! See how she did it! I was born in Europe, in Ukraine and I always loved sports. Growing up with two brothers took my interest from martial arts (Judo), swimming, aerobics, running to fitness. I enjoy sports! The story changed when I moved to the USA. For the first years I gained weight just because I was new to this culture and I wanted to try all new foods (like Texas cuisine, Mexican, American, etc.) And also I travelled a lot between Europe and the USA which didn't leave me much stability to consistent work outs. And there was a lot of stress associated with changing the countries and starting a new family. I got depressed and I started emotional eating and got maybe 5-7 pounds overweight. On top of everything I let myself go when I got pregnant. 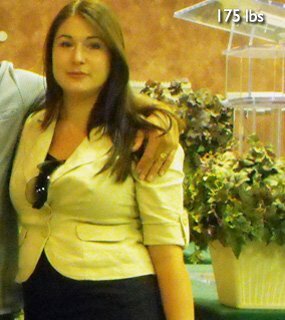 Before I even noticed I gained 45 pounds! For my height and being pregnant it was not healthy. But, I never had a doubt about myself and I knew as soon as I got approved by my doctor I would step in and start losing weight. I might look like a "princess" but I'm definitely a "soldier" on the inside. My motto for life is the saying by Alfred Haake: "Do the right thing even when the boss isn't looking. The real boss is standing alongside you every moment of your life." And when it comes to basketball, Elena is YOUR boss. I started like everyone else - cardio 3 times a week. At first it was walking/jogging at the trail/park with my baby in the jogging stroller, then group classes at the gym, but I didn't change my eating habits because I breastfed my baby until he was 1-year old and was always hungry because of that. Then I decided I needed a change and started digging in deep with magazines, Internet research, asking advice from the people who did it, composing a book from cut outs with sample meal plans, workouts, advice, etc. I was not looking around at the gym, not reading a book, not talking on the phone (ladies, mind your manners, please, talking on the phone for the whole duration of cardio is annoying for everyone else!). It was my "sacred-me-time"! Religiously 5 days per week. I added supplements and trained myself to drink up to 2 gallons of water a day, oatmeal and green tea which I hated before. I got hooked! Then I met some folks from a Houston competition business, took a transformation challenge and won first place! I met some great people who inspired me and just showed me that your body and face are going to show what you do to them sooner or later. So let it be good stuff, like a healthy and pure lifestyle! Then set the goals to challenge yourselves, like bets, contests, photo shoots, etc. Note: The eating and workouts plans that you see here I keep for a season. You have to be flexible through life and find your own seasons and also balance. Believe in yourselves and have success, ladies! Be flexible. Be proud. Believe. You can supplement this meal with protein powder or other protein sources if you expect to hit it hard at the gym or you know your day will take extra energy. I eat the fruits that are loaded with more fructose in the morning and stick to low fructose ones for the afternoon but since I don't eat any other form of sugar or sugar replacements - I never skip the fruits. Note: I pick 2-3 a days out of the following to train abs depending on my time/mood/preference. I rest but do go for a walk or swim. Hydrate! Hydrate! Hydrate! I drink 1-2 gallons of water a day! You might hate it now but you can do it and it pays off in beautiful glowing skin and yes, lost fat! I see so many women (men too!) at the gym performing cardio/weights over and over again and not sweating. Not healthy! And I see the same faces a year later, and they are still in the same shape as when they started. I thought of a saying during my long boring cardio sessions: No sweat, no lost fat! If you noticed, I skipped the red meat altogether for the shredding period of my transformation. You can always save it for the cheat meals which I had every Saturday because I don't cook (even God rested!) If you want red meat, eat it for lunch and let it be lean cuts or turkey, and I would suggest smaller portions, about 3 oz. If you are still hungry after your last meal, I took hoodia capsules or drank 1 cup of chamomile tea. It will help you relax. If you still struggle and cannot fall asleep, eat a little something like a handful of almonds or take melatonin, but don't go to bed hungry! Cheat days (yay! ): Once a week, one cheat meal was a must for me. Nachos at the movies once a month will not kill all of your effort if your body is getting the best quality of nutrition 99.9% of the time. I did that, and the occasional couple squares of Dove chocolate at the end of the day. Especially for women: because of our natural cycle there are days in the month (1 week before 'cranky days') you'll have carb cravings: go for it but don't overindulge. Otherwise you are risking falling off the wagon. If you do, get up, pull yourself together and move on. If doesn't matter how many times you fall down, it's how many times you get up that matters. Reward yourself: it only gets easier first after you developed a habit of healthy eating and consistent workouts, in about 1 month if you are true to yourself, and then in 6 months when you've lost majority or a large portion of your fat. So, it's essential to reward yourself in the beginning of the journey. For me it was pedicures, girl's dates, new workout outfits, massages, a long drive to the beach and then a long walk along the coast, etc. Whatever works for you, ladies! Keep track of your progress and throw away your scales! The weight of every woman varies from day to day and it's not a true measure of how much FAT you have lost! You can starve yourself and lose all that precious muscle but FAT can still be there, and you could still look "not so red carpet" in those jeans. The best way to measure your progress is Body Fat Percentage. I used my personal BFP measure that I got for free from the Bodybuilding site when I ordered supplements from them. But any gym can do that for you. Also, take pictures of yourself; try those favorite jeans - pics and clothing don't lie! The scales do! Get motivation and inspiration - this site is awesome for this reason and I'm so thankful for my friends that communicate with me on the regular basis and just guests stopping by and dropping the kind words and comments! Thank you all! Also, stick those tear-outs from the magazines on the pantry and refrigerator doors, on the bathroom mirrors, etc! My motivation was and still is Jennifer Nicole Lee and Elizabeth Amber. And if you don't get support from your family members like I did, (my ex-husband was always negative about me going to gym or fitness mixers or using this sites and such) just remember, do your thing no matter what! There are always going to be people who will say you cannot do it, or just to look like a celebrity or a fitness model you need to be one, or you don't have money for the supplements, etc. Don't pay attention, just put your earphones in your ears with upbeat music and go for a walk! Surround yourself with the positive people. I don't wish you good luck because I'm not Irish and not a superstitious person but I believe in God and Hard Work - so have success, ladies!